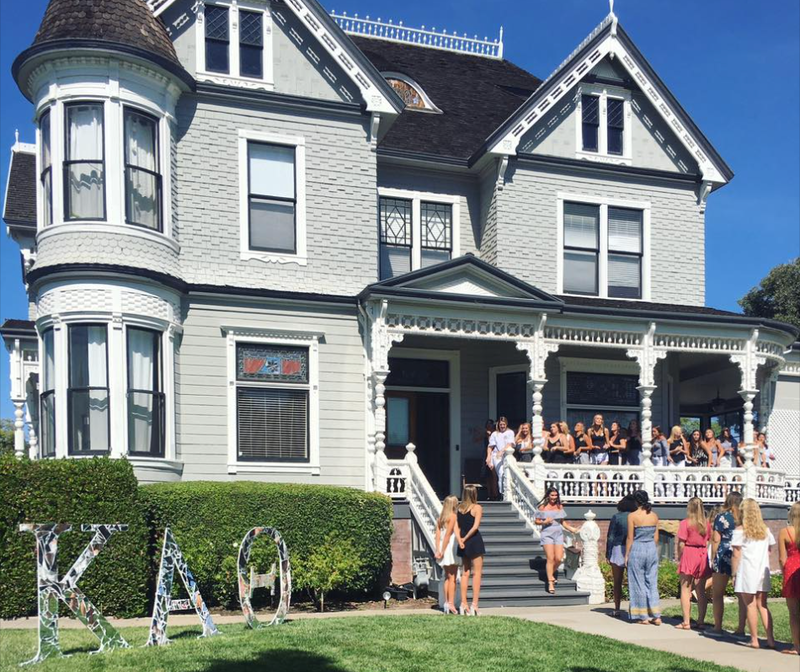 Is bid day really the best day? If you know anyone in a sorority, like myself, you've probably heard them say, or seen an Instagram caption, "bid day, best day." However, as a new member is bid day really all it's cracked up to be? Personally I really trust the recruitment process, but I also don't really want to ever go through recruitment again. I did it and it worked out amazingly for me and gave me some of my closest friends, but it's not an experience I would do again. While you're rushing it's all leading up to the excitement that is bid day. I didn't really know what to expect from bid day, but everyone was really hyping it up. By the time bid day was here I was honestly more excited to be done with recruitment than anything else. As I patiently awaited the envelope telling me which house I was about to become apart of, there was a lot of nerves. Part of me still wasn't convinced I'd even get a bid, and it didn't help that after a couple hour delay I was the last person in my room to receive her envelope. However, once I made it to the designated room for all my house's new member, the place where we all got our t-shirts before running over to the house, I was elated when I saw someone I knew. Honestly, if I didn't see a friend there I think this day would have been very different. Once we arrived at the house I was overwhelmed. There were so many new faces and I only recognized a few from recruitment, but there was still a part of me that felt like it all made sense. Yeah, I know very cheesy, but as the Philly fan in me says "Trust The Process" #TTP. Anyways there was a lot of good food and music and cute decorations. Our bid day happened to fall on Super Bowl Sunday so I appreciated the fact it was football themed…but unfortunately all the decorations were blue and red, where was the black and green for the Eagles (who ended up winning…just saying). I finally started to mingle and talk to some other people and felt like maybe this could work. Although, there was still a big part of me that was confused and overwhelmed. I only knew one other person here and the shy side of me wasn't really sure this was a good idea. Not to mention, I didn't have any clue what to expect from a new member process, or really what type of commitment this house would be. Regardless, I knew there was a big part of me that was excited to find out. And the 100s of Instagram and Facebook request and a parting goodie-bag didn't hurt either. Now to be fair, I've only experience bid day from the new member side. The side where you don't know anyone, don't know what to wear and don't know what's happening. Now as an initiated sister I'm actually really excited for bid day. After two-weekend-long recruitment I know it's gonna be the perfect way to celebrate with my sisters. Not to mention as someone who wants to take a little this semester, I can't wait to meet all our new members. I now know how much work goes into the other side as well. It's given me a different appreciation of the whole process, so it makes sense why ending it with a giant celebration is so special. Also, I have to admit I'm pretty excited for this year's bid day theme, it's going to be amazing. These are the untold secrets of SCU Sorority Recruitment. 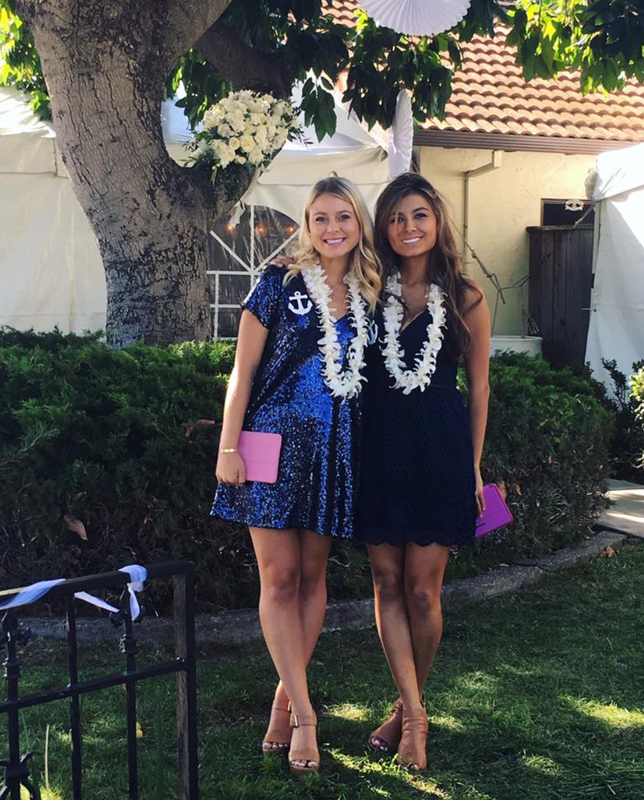 When you are thinking about rushing for a sorority there are tons of websites that you can find to help you figure out what to wear and what to expect. The problem that I personally found was that there is absolutely no information on the process of rushing here at Santa Clara. Lots of larger schools have female students who are YouTubers and they post info about their experience and can tell you how it goes. Unfortunately, it is different at every school and this is lacking here at SCU. Greek life is completely separate from the campus and it is made extremely difficult to find any information on it. I did rush this fall as a freshman and now I know exactly how the process works so I’ll fill you in with all my wisdom. Chapter/House- they are all just the same thing as a sorority, every sorority is a "chapter" and each one has their own "house", they think sorority can have a negative connotation so they prefer to use "chapter"
The recruitment process here is 4 days long and for that entire week of rush, it is considered a dry week. If you are caught going out to parties or drinking they will blacklist you and the chances of getting into a sorority at that point are very slim. They say in the PNM Packet that the fees for each sorority generally for the first year are between $1,917- $2,542. This is because it includes the one-time new member fee, initiation fee, and the purchase of the sorority badge. The following years the fees will end up being around $1,733. It is different for each of the sororities. The Panhellenic Council who runs formal recruitment will not send out the PNM packet until a few days before. This is extremely inconvenient for girls who like to plan ahead or don’t know what kind of outfits to wear. They held a non-mandatory information session the Wednesday night (6:00) before recruitment but I was not able to attend due to class. It is not a big deal if you attend or not because the packet they send out basically covers everything they talk about and need to know. The first day of Fall Formal Recruitment is on a Saturday and starts at 11:30 am. You are told to meet at the Legion which is just a large banquet hall building which serves as the “home base” for all of SCU recruitment. Just for reference, the Legion is about 10-minute walk from Swig Residence Hall. You will check in and be given a name tag with your name, hometown, and group number. Your group number is your "Small Group", which consists of 12 people and a Recruitment Counselor (RC). You are then clumped into a larger group consisting of 3 of the smaller groups. This group of girls is organized alphabetically by last name and are the girls that you will be entering each house with. You will then be guided by the RCs and will attend a "party" at each of the five sororities in a random order. There are only 5 houses and were 7 groups of girls so during some time slots you may get a break. During your break, you can check out and eat food or go back to your dorm just to sit down if you wish. The breaks may be an hour or more depending on your particular schedule. Before entering each of the houses you are lined up alphabetically because each of the sororities have prepared which current members they want you to talk to and have it organized in that order. Your RC will collect your bags and phones because you are not allowed to bring anything inside the houses. Inside each of the houses, you will be paired up and have informal conversations with the existing members. 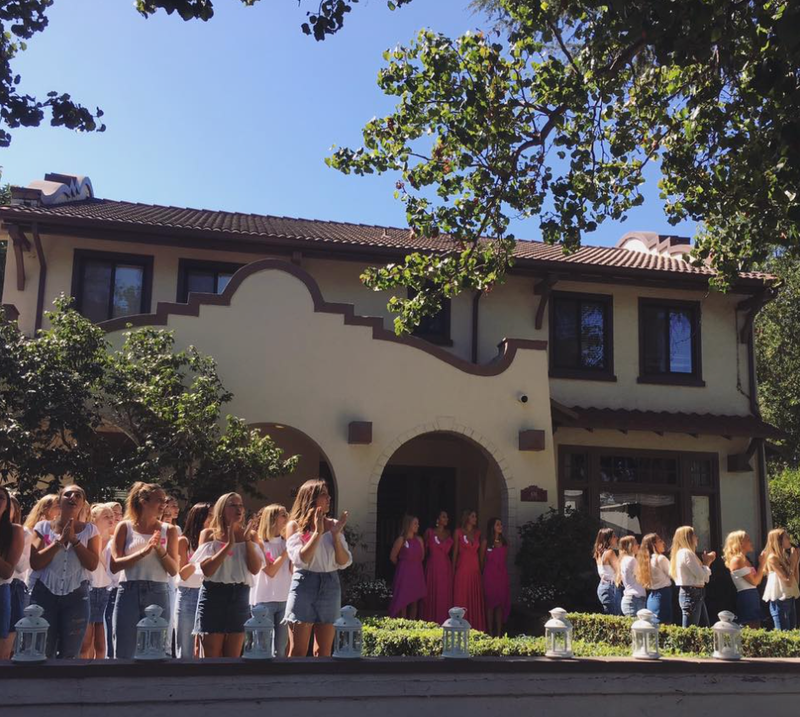 You will be taken on a house tour and shown a sisterhood video to try and give you a look into their close bond with one another and some of the activities they do each year. You may switch between multiple members during your time at the party (about 1 hour) and at some houses, you stay with one girl the whole time. where you live on campus? what you want to get involved in on campus? 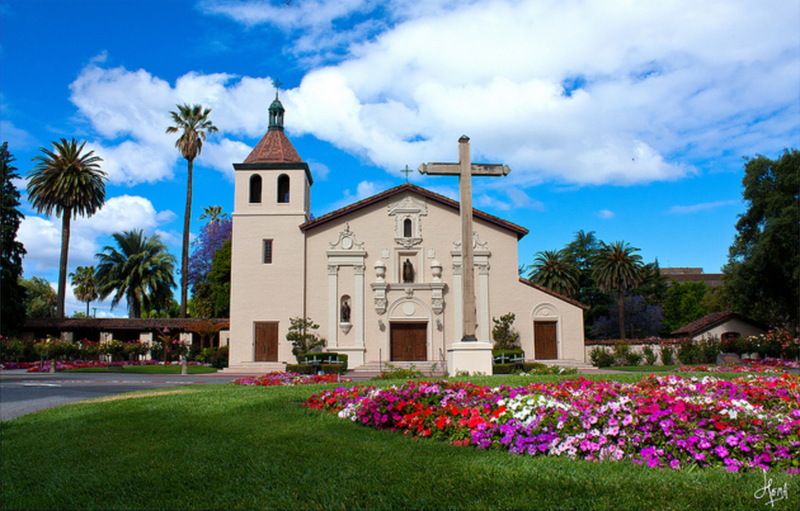 why did you choose Santa Clara? why do you want to be in a sorority? They are all extremely basic questions and can sound extremely boring if they just ask them all in a row so it is important to make sure everything is flowing like a conversation more than just a questionnaire. Once you have attended a party at every house you are taken back to the Legion to vote on your preferences. You will rank the houses 1-5 and you are then done for the day around 9 or 10 pm. If you get called back to all of your top 4 then your bottom house will be dropped. If you did not it is likely that your bottom house will become one of the houses you visit on the next day. The next day you can have as many as four houses or as little as one. It all depends on who you ranked and which houses want you to come back. The second day is Sunday and we met at "The Park" which is probably about two streets closer than the Legion and is a legit park. We got back into our small groups of 12 with our RCs and were handed our name tags. On the back of the name tags is your schedule for the day and you attend the houses in the order listed on the name tag. This means this is the time you find out which houses that you liked invited you back. You attend these houses in the exact same manner as you did the first day and you may have breaks spread throughout as well. You do not stay in the small groups of 12 anymore because all of you will have completely different houses and different schedules. At the houses, the girls will tell you about their community service and what organizations they contribute to throughout the year. You will continue to have informal conversations and the parties are a few minutes longer than the day before. At the end of your day, you will return to the park and rank your preferences once again. At this point, you will rank all the houses that you attended that day. The third day is a Monday meaning you will most likely have classes that day. It doesn't start until 5:00 pm but many classes do run this late. The Panhellenic Council will have you submit all class conflicts ahead of time so they know that you are in class. They say that you should go to class but I know a lot of people did not attend their night classes on Preference Night. I would not recommend attending that class if it will limit you from attending all of the event because if the house is on the fence about you it could hurt your chances if you aren't there. You meet at the Legion and are handed your name tag with your schedule once again. You will attend a maximum of two houses on this night, maybe just one. At the parties, the girls take it very seriously and try to show you how much they are absolutely in love with their sorority and their sisters. It is a very emotional night and one of my very favorite parts of the rush experience. You will return to the Legion once you are done at all of your houses. The listing of preferences on Preference night is taken much more seriously than all of the other days. They only let thirty girls into the legion at once to go inside. As I'm sure you're already thinking, this process takes forever. After visiting my final house I was standing outside the legion in heels with no jacket for an hour. Once you are inside you are only allowed to sit two people per table and will begin to fill out a contract. On this form, you will list your preferences and sign a binding contract that you will accept a bid from these sororities. If you sign it and later decide to not accept a bid you are relinquishing your chances of participating in rush for a full year. Meaning you may not participate in informal spring recruitment if your bid doesn't go your way. Your options on this night are to list your two remaining houses, or just one if that’s how many you had. You can also choose to only list your top house and do a “suicide bid”. Essentially, you only list one house if you strongly feel that you only want to be in that house and the other one would not be a good fit. What they don’t tell you is that if you suicide bid you have to be in that sorority’s top 15 girls. If you were number 16,17, or anywhere below you are automatically dropped from recruitment. I only know this information now so I would like to recommend that you do not suicide bid. Bid Day is on Tuesday, meaning it is later in the night after the majority of classes are over. If you are not invited back to Bid Night they make the phone calls Tuesday morning between 9-10 am. If you are invited back, you go to the Legion once again and will be handed your bid cards in an envelope. In the Legion just before you open your bid card the RCs will reveal which sororities they belong to which is always a super fun and exciting reveal. Once receiving your Bid Card, you “run” to your house and participate in the festivities. This is different for every house and that is why the time you will be done will vary. I know some sororities did not have a lot of activities and others went to sky zone or had food trucks come. It really just varies but either way it is super fun. There are various mixers and socials following Bid Day and many mandatory events for new members in the following days and weeks. The whole process of sorority recruitment is extremely exhausting and really emotionally and physically draining. People will describe the process as worth it once you’re “running home” to your new sisters and you feel like you belong to your house. Luckily if you don’t participate in this process or get dropped it's not the end of the world. Greek life is not a crucial aspect of life on campus and you can still be social without being in a sorority. You also can always try to rush in the spring or as a sophomore. So many people I met during this process were sophomores who just didn’t want to rush as freshmen. Day 1: Nice jeans, pants, and semi-casual outfits are recommended. You will be walking from Chapter to Chapter in a limited time span, so please wear comfortable shoes on the first day and do not bring bags. I would personally not recommend wearing pants, most people I saw wore rompers or a dress on this day. It is also extremely hot so just know that's a possibility. They say specifically not to bring a bag but everybody did and they didn’t say anything. The shoe situation is real, the houses are all within close proximity but they take you on the most ridiculous routes because you can’t pass one of the sorority houses while walking to a different one. This makes the routes really far and your feet will kill. I recommend wearing comfy flat sandals or bringing a change of shoes. Day 2: Casual dresses and slacks or khakis are appropriate for Philanthropy. You may be sitting on the floor or in chairs, and some may take place outside so depending on weather, most likely wear short sleeves. Please wear comfortable shoes, however, each woman will be attending a maximum of four houses, so there is less walking than the first day. On this day girls just wore a fancier dress than the day before with a small heel or wedge sandal. Day 3: A nice dress, however please avoid wearing solid black, navy, or white dresses. It is really hard to not wear a dress that is not one of these three colors but it is definitely a good idea to abide by the rules. All the girls in sororities wear these colors and its awkward when you blend in with them because you don't stand out. Day 4: Casual clothing; shorts or jeans are appropriate and comfortable shoes are recommended.